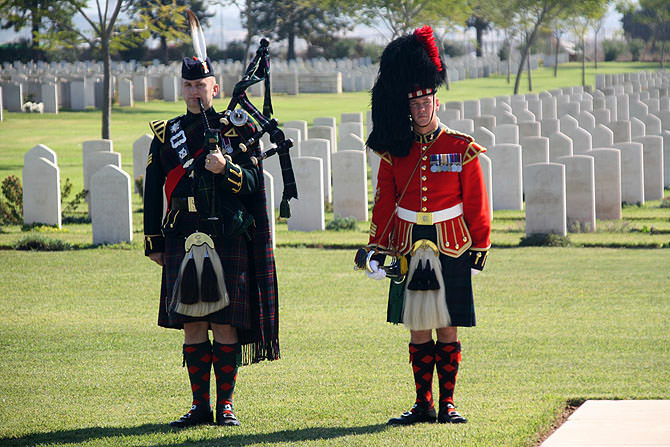 The British Military Cemetery in Ramla is one of six British burial places that were established in Israel after World War I. It is located about 2 km north of the town, and every year, it is the site of an official ceremony. Its date is always the Sunday closest to the day when World War ended, i.e., 11/11/1917, at 11:11 am. During the Second World War, a law was issued making the British government responsible for burying the fallen. Therefore, the fallen soldiers of the British Empire from World War I until the end of the end of the British Mandatory Period in Israel in 1948, including the fallen of World War II. This official cemetery is designed according to a unified structure that was decided upon. The graves are arranged in rows on a beautifully manicured lawn, lined by bushes of red roses which adorn the graves. The difference between the gravestones lies in the sentence that accompanies the fallen soldier’s name, the sign of the unit he fought in, an indication of his religious affiliation and the upper part of the gravestone which changes from nation to nation, depending on the soldier’s origin. The only gravestones differing from this design are those in the form of a cross on the graves of French soldiers. Next to the cemetery’s main section is a secondary one where Hindu and Moslem soldiers are buried whose burial rites did not permit them to be interred with the rest of the fallen soldiers. The cemetery lies to the east of town, on well-kept and orderly grounds with spacious green lawns. 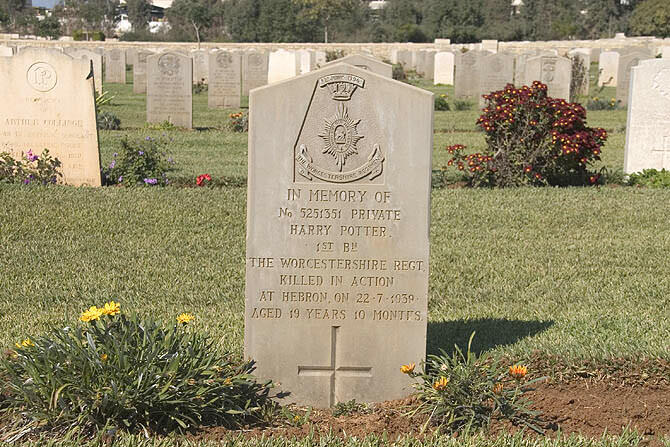 On a stroll along the path between the gravestones, one can discern the grave of the grandson of Baron Edmond de Rothschild as well as the grave of a soldier with the surprising name of Harry Potter, a British soldier from the military camp of Sarafand (today called Tsrifin) who mainly served in the region of Hebron and was killed a year and a half after his conscription during an attack near Hebron. 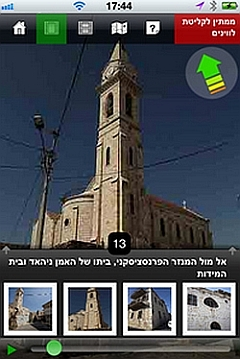 Address: Dukhifat Street, at the corner of HaTikvah Street.